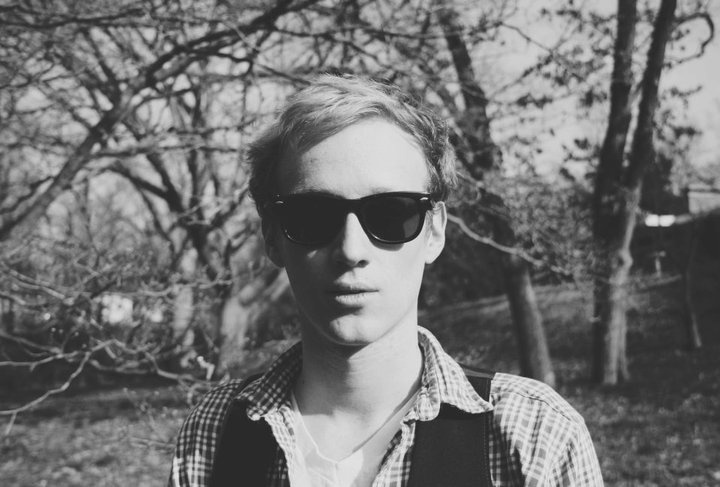 Things get busy over here at I.M.P, and one thing I regret is forgetting to post this interview with a wonderful young folk artist, the Duke of Norfolk, on time in July as he prepared for his tour. However, I’m happy to be able to partially make up for this lapse and provide a window into this fascinating artist’s mind. I found his lyrics to be witty and, as you’ll see in this very worthwhile interview, his perspective humble and open. Welcome to Independent Music Promotions. I’d like to hear your thoughts on the lyrical tradition of folk music, which you definitely seem to be carrying on. What is it about the genre that lends itself to such great lyrical expression? Thank you for your interest in my music. As far as the lyrical traditions of folk music, my involvement in that tradition is has a sort of double sided beginning. First, is the music I listen to. I listen to a lot of folk music (as well as a lot of other music) because of its lyrical content. In looking for artists that I like, I find that the music has to catch me but the lyric is what keeps me coming back to the songs. I think I’m more interested in good poetry than good music. The second side is how I began writing. Before I began writing songs, I wrote poetry, and when I started playing the piano it became an extension of the poetry that I was writing. The point of the songs were the words that I sang. My music has changed a lot and the lyrical content has also changed a lot from when I started, but I think the point mostly remains the same. The point of the songs are primarily the words that I sing. There’s also a little about the composition and the tune and whatnot, but the lyrics hold the primary position. “The Ceaseless Progression of Time” has both truth and wisdom in it. It’s straight forward and unusually honest without being bitter. What was the motivation for the track and what made you choose it as the EP opener? The song was partially inspired by a line in a King Charles song (“O’ England”) that says “Time has taught us when we move slow it moves fast and the fire of the future turns to ash of the past.” The line stuck out to me because time is something that I had been thinking a lot about. I was, at the time, a few months away from graduating university and filled with all sorts of questions about the rather uncertain future. I’m still filled with questions about the uncertain future. Thematically, that’s probably evident in a lot of my songs. 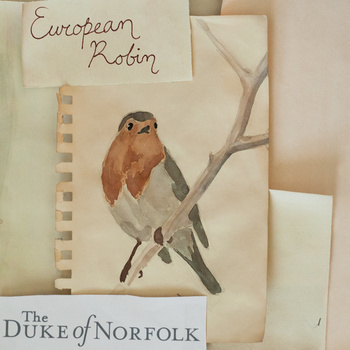 Your new EP “European Robin” is the newest of a dizzying amount of releases named after birds. What is it about birds that inspire you musically and generally? I started writing songs for an album I was going to call ‘Birds… Fly South!’ a while ago, and when I sat down to figure out which songs I should include on the album, I had close to a hundred songs on the topic, so I decided to make a series of EPs that would lead up to the album,. That way I could experiment more with different types of sounds and also not get rid of so many songs. The reason I chose migratory birds in the first place was because I was writing about the seasons of life and dealing with change. The way that migratory birds deal with change is rather incredible… it’s sort of a romantic idea, but they know when it’s time to leave and when it’s time to return. They’ve just got a good grasp on change. Also, birds present a vast sea of symbolism. How do you typically go about writing songs and editing/putting them together? What can you tell us about “European Robin”? Writing songs now is a part of my life; it’s something that I do often, and it’s rather therapeutic. I don’t write down anything from a song except for the lyric. Most of the time that’s enough, but if I forget how to play a song, then I just assume that it wasn’t good enough to remember. It’s sort of a silly editing process, but that’s how I do it. As for European Robin, I chose the songs for the EP slightly more sporadically than the proceeding four EPs. I had first intended each of the EPs to be themed after the symbolism of the bird that represents them. For the most part I held to that, but I planned for 6 EPs and ended up behind schedule and only able to record/release 5 of them… So when it came time for the last one I ended up cutting some from what were originally planned for the 2 eps and combining the ideas. The European Robin is a symbol of the arrival of spring (as it’s one of the first birds to migrate back) so thematically that’s where the album was mostly directed. It’s obviously really overtly presented in the track The First Day of Spring, but even Lovely Winter is meant to present the idea of parting with winter (and all that winter represents) on good terms. I can’t say I’ve heard production quite like what I’m hearing on “European Robin” before. I like the way you’ve embraced subtlety, really, and what sound like tasteful use of electronics and atmospheres as well as an interesting vocal filter that suits your delivery, which to me sounds a bit more raw than most modern folk. The whole thing sounds like it wasn’t overly processed. What was the recording process like? Most of the process happens in my bedroom. In a really incredible way, current technology makes that possible. I also helped teach a class on recording at the university in Arkansas from which I just graduated, so I used some of their equipment and their studio for some of the work on the EPs and for the mixing process. But really mostly everything happens in my room and I played all of the parts on all the migratory bird EPs, so it’s sometimes a nice introverted activity. I think that saying it isn’t over produced is accurate, but at the same time I feel like European Robin is probably one of the most ‘produced’ in the series of EPs. Part of the idea of this EP series is that it has been an excuse for my to experiment with different sounds and styles. So, while European Robin is steeped in electronic noises, Barn Owl was recorded in an old manor house in Belfast with one guitar, light piano, and some hand percussion. You have some major tour plans coming up. Where are you travelling and what kind of show do you have planned? Yeah, I’m actually on the road now (currently we’re in the car driving from New York to Boston). We’re pretty much going all over the states; east coast to west coast and quite a bit in between. We are also playing a show in Vancouver on the 17th of July. We have a variety of shows booked. Mostly bars and coffee shops, though we have some house shows and some other venues booked. The music industry, just like the world, is subjective, and is an entirely different beast to everyone. There are more opportunities than ever before, and also millions more musicians. How has everything been for you thus far, and what have you found to work effectively in reaching new listeners? Well, things have been rather good thus far. I have been fortunate enough to have had some promotional help from friends and lucky enough to have stumbled into the world of audio technology, which has allowed me to do my own recordings (The quality of which I think improves with each new recording). The things that I find most effective in reaching new musicians is to just write more and record more. The more that I do those things, the better I get at both of them, slowly but surely people seem to join me on my journey. What advice would you offer to artists looking up to what you’ve accomplished so far? I don’t really feel like I’m in a place to be giving advice. I mean, I feel so lost myself. But if I were to give advice I would say, keep heart, keep writing, learn how to do things yourself, and learn how to ask for help. To expound on the latter two: One of the biggest woes of a musician is money… because for many, you don’t make much (if any) playing and recording music, but it can cost a lot of money (recording, strings, instruments, repairs, etc). So the best way to deal with that is to find out how to make it cost little or no money. So while you may not be making much, you’re at least not spending much. Learn how to make a quality recording by yourself, ask friends to be your ‘studio musicians’, learn how to fix your instruments by yourself, stuff like that. Make it a full-fledged hobby until it can become a career. Any other plans for the Duke of Norfolk in 2012? Much of 2012 will have passed by the time that I get off tour, but my only other plans for 2012 are recording. I am planning on finishing up recording on my debut full-length album and beginning recording on my second album, and I’m thinking about throwing another EP in the mix as well. I am also slated to be on several upcoming compilation albums. Listen to the Duke of Norfolk at Bandcamp.